I hope everyone had a great Labor Day weekend! Bob and I hit up the Labor Day sales to buy some furniture for our new house. All I have been thinking of lately is furniture! So many decisions! Meanwhile, I was invited to do a product review for CSN Stores, and what is one of the focus of one of the many CSN stores - furniture! I have been browsing all of their kitchen tables and dining room sets to get a good idea of the styles we like. I even Googled "dining rooms" recently and CSN Stores came up! As we get closer to Closing Day for our home, things are getting busier. Have I even started packing yet? NO! I wanted to share this quick recipe with you because it was a huge hit at the "Hello and Goodbye" party we held a few weeks ago. I have had this idea for a very long time, and finally forced myself to make it happen. 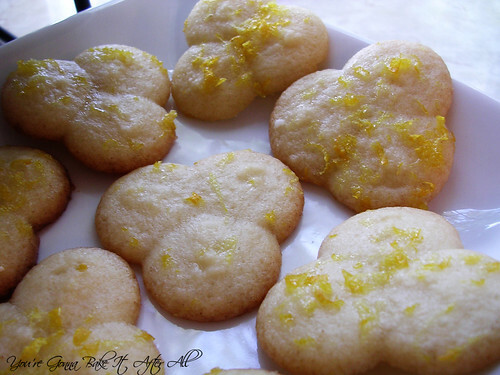 The big Whole Foods in Chicago sells these incredibly delicious lemon-glazed butter cookies made at a local bakery - they tasted very much like my grandma's butter cookies with a lemon glaze. So, I figured why not try glazing my grandma's butter cookies with different citrus glazes - lemon, lime, and orange to be exact. 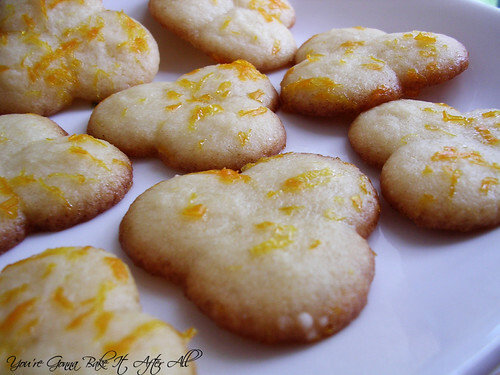 The result - a delicious, citrusy, buttery cookie! These cookies are normally a little hard in texture but the glaze made them softer. 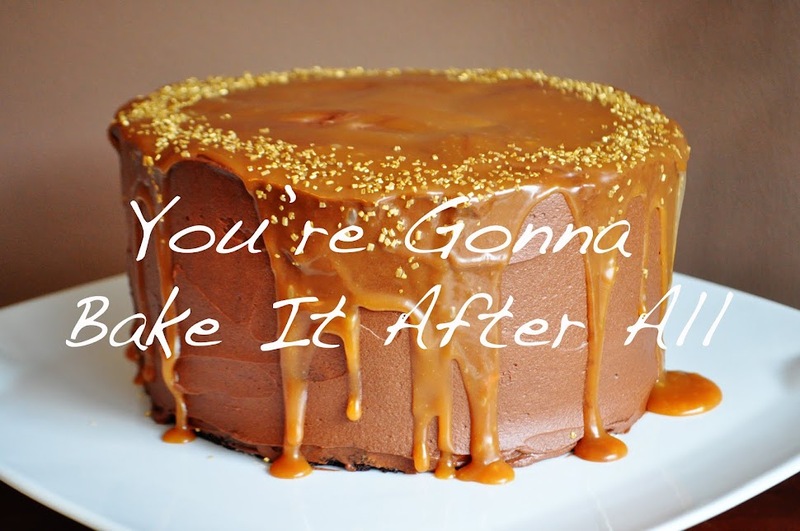 Overall, the favorite citrus glaze of the night (because I asked of course!) was lime. I was a bit surprised but certainly agreed. The lemon and the lime were in close running, with the orange slightly behind because we decided it didn't have as prominent a flavor. 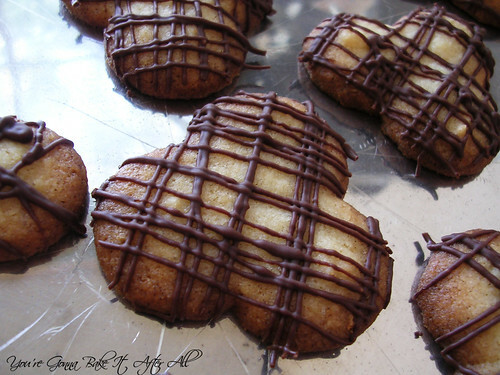 The glazing is as simple as can be and adds a new flavor and color to already amazing cookies! 1. 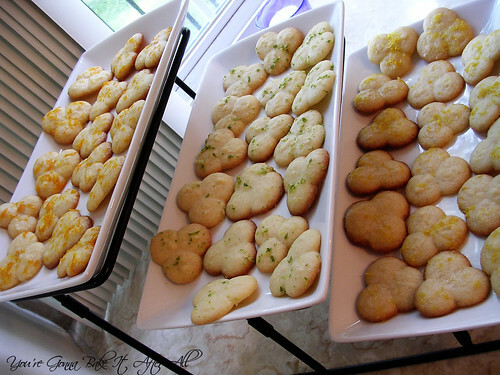 Prepare butter cookies as directed and let cool completely on wire racks. 2. Place 1/3 cup powdered sugar in each of 3 bowls. Grate some of the zest of each fruit into each bowl - the amount varies by personal preference, but I believe I used the zest from the whole lemon, the whole lime, and half of the orange. 3. Juice the lime, lemon, and orange separately. 4. Add each citrus juice to each bowl, a little at a time, stirring to observe consistency. You would like the glaze to run off the back of the spoon - not too thick. I used approximately the juice of 1 small lemon, 1 small lime, and 1/2 small orange - although I held back a little juice from each. This will depend on how 'juicy' your fruit is! 5. Place waxed paper under cookies on wire racks. Spoon glaze over cookies, making sure to distribute zest as evenly as possible. Let dry for several hours. Serve or store in an airtight container. Some of the cookies got a little more done that I'd like, so I drizzled them with chocolate. These went fast! LIME, LIME, LIME...YES, MY ALL TIME FAVORITE FLAVOR. 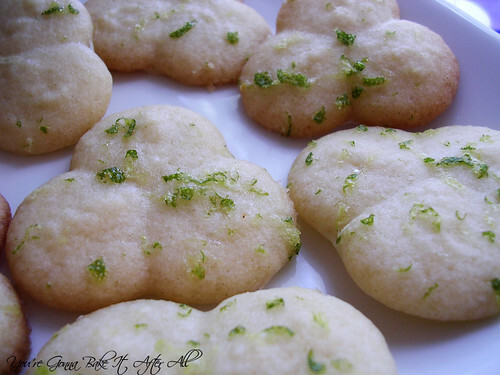 Ooh... the lime glaze ones would be cute for St. Patrick's Day! They all look and sound delicious! 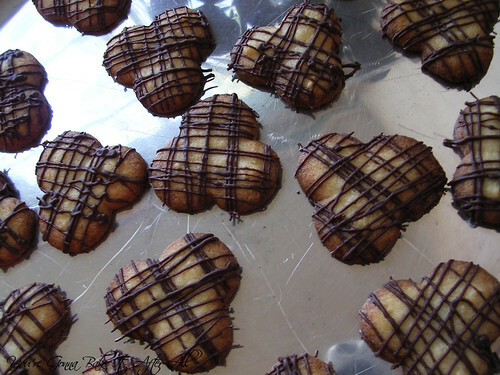 I bet the drizzle of chocolate makes these cookies extra tasty--love the shape of em too!